Gregory Alonzo: Slivovitz: Serbia’s Fire Water? Located on the confluence of the Sava and Danube rivers, the city of Belgrade juts out across the the Pannonian Plain and meets the Balkans. 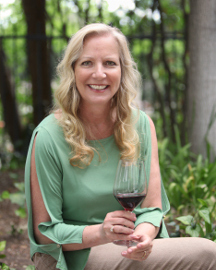 Its name in English translates as ‘White City.’ Not only is Belgrade one of the largest cities in East Central Europe, it is a particular favorite of my long-time friend and fellow sommelier, Kalina Novac. 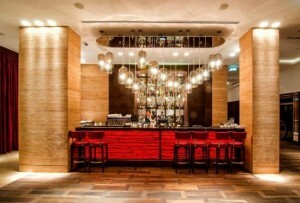 From the opulent surroundings of the Metropol Palace Hotel, Kalina and I settled back and admired our lavish setting. A fashionable mix of style and sophistication, the hotel’s renown lobby bar was the perfect setting for our tasting. Our table had been set with traditional Serbian delicacies. Kajmak, local cream cheese, fresh tomatoes, roasted meat dishes, and prsuta, dried meat. We both erupted euphorically as Kalina presented me with our first bottle. 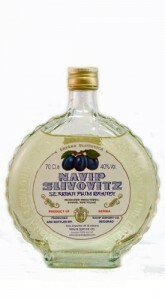 Slivovitz or Slivovitsa is a distilled liqueur made from Damson plums. Throughout the Balkans it is frequently referred to as “plum brandy.” In Hungary and Slovakia it is known as Palenka. It is primarily produced in the Slavic regions of Central and Eastern Europe, both commercially as well as homemade. The primary producers are in Bosnia, Croatia, Serbia, Czech Republic, Slovakia, Poland. Hungary, and Bulgaria. Slivovitz is the national drink of Serbia and plum is the national fruit. A Serbian meal usually starts or ends with plum products. Typically, Slivovitz is typically 100 proof and is served as an aperitif and served at cellar temperature in a special shot glass called cokanji. “In Serbia, there is a saying that the best place to build a house is where a plum tree grows best,” Kalina smiled demurely. 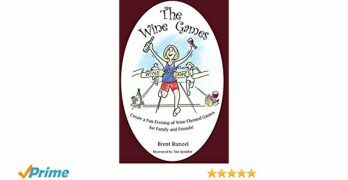 “Ziveli, to your health,” I nodded in agreement as I toasted her. “What amuses you,” Kalina queried. Maraska Sljivovica hails from the Zadar region of Serbia. 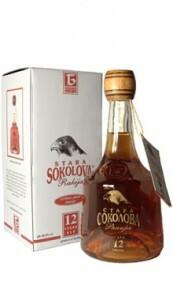 It is a distinctive plum brandy with natural flavors and rich aromas. This is achieved through special fermentation, distillation, and a long term aging process in oak barrels. 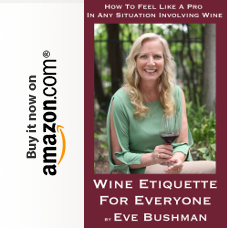 “I can attest that one definitely feels Slivovitz from head to toe as it warms the entire body,” I joined in Kalina’s merriment. Our next selection was from the distiller, Navip. This Slivovitz has a distinctive style that is all its own. It is produced from the famous, juice-rich Procegaca Plum and aged 8 years in oak barrels. Recognized for its yellow-gold color, soft round taste, and sweet, fine rich fruit flavors, Navip is the perennial favorite of most Serbs. “Serbs also claim that there are no hang overs from Navip,” I clearly displayed my doubt. “I feel like eating something sweet,” I smacked my lips hungrily. “Belgrade’s pastry shops are notable for their tasty homemade pastries and cakes,” Kalina said assuringly. “Mammas’ Biscuit House,” we chimed in unison.